The main goal of the International Advisory Group is to promote an open dialogue between expert key-actors of these different groups globally as well as to provide strategic support to the whole NANOSOLUTIONS project and its direction during the course of the project, based on the results of the subprojects. Andreas Falk is CEO of BioNanoNet Forschungsgesellschaft mbH and is working on several projects in the thematic field of nanotechnology, nanotoxicology, nano- health and sensor solutions (nano-health, NanoProdEx, NANOFORCE, NANoREG, SPIDIMAN). He is setting up an international hub system focusing on fostering the communication between experts in the field of nano-safety, using already existing national structures as e.g. EURO-NanoTox (European Center for Nanotoxicology) which is coordinated by him. He represents Austria, BioNanoNet and its members within several national and international working groups (NanoSafetyCluster, European Technology Platform Nanomedicine, NANOfutures, COST-Action TD1204, OECD-WPMN,etc. ), always having future project ideas in his mind, and promoting collaborations amongst the scientific clientele. He holds a degree in biomedical science (1999) and business administration (2011), combining two major scientific and economic fields into one central contact point for the whole Austrian Nano-Community in the KET’s biotechnology and nanotechnology. 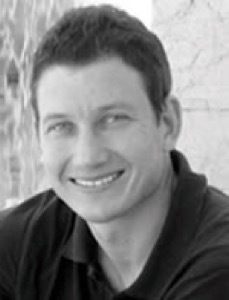 Dr. Carlander is the Director of Advocacy in the Nanotechnology Industries Association (NIA). In his position he is covering the agricultural sector (food, feed, ag-chem) and REACH and risk assessment of nanomaterials. He is coordinating and participating in a number of various research projects and is representing the NIA at EU regulatory meetings (e.g. European Commission Sub Group on Nanomaterials under REACH) and at meetings organised by the European Chemicals Agency (ECHA) for accredited stakeholders. Before joining the NIA Dr Carlander most recently worked six years as Scientific Officer for the European Food Safety Authority (EFSA), Parma, Italy, where he was coordinating the risk assessment of applications of nanotechnologies in the food and feed area. In EFSA Dr Carlander also performed risk assessment of animal cloning, and has been working with the TTC concept (Threshold of Toxicological Concern) as well as with GMO (Genetically Modified Organisms) risk assessment. Before EFSA, Dr Carlander worked for the Swedish Ministry of Agriculture, and the Swedish National Food Administration, working with regulations on GMOs, pesticide residues and organic farming. 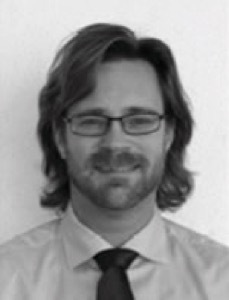 Dr Carlander has more than 15 years of experience working with governments, academia, industry and international organisations. Dr Carlander holds a M.Sc. in Biotechnology and a PhD in Clinical Chemistry from Uppsala University, Sweden. Head, Cellular & Molecular Toxicology Division, Biological Safety Research Center, National Institute of Health Sciences, Japan. Dr. Kanno received M.D. and Ph.D. in Pathology from Tokyo Medical and Dental University Graduate School for Medicine and currently leads Cell. & Mol. Tox. Div., NIHS. Specializes in pathology, toxicology and molecular toxicology. Research includes molecular toxicology focused on Endocrine Disrupting chemicals (receptor mediated toxicity), carcinogenesis and Toxicogenomics (Percellome Project), and extends to Nanomaterials safety. He has been an expert member of WHO/IPCS Toxicogenomics , Harmonization Project on Cancer, OECD/EDTA VMG-mammalian, VMG-Non Animal, and engaged it’s Advisory Group. 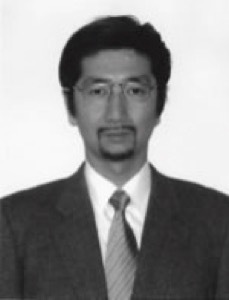 He joined IUTOX Executive Committee as vice president (2009-), and has been the President of Japanese Society of Toxicology (2012-). Maila Puolamaa has a university background in the occupational and environmental protection and she joined the European Commission as a permanent official in 2005. 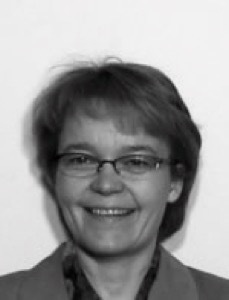 Her first assignement, was at DG Health and Consumer Protection, working for the Scientific Committees for Newly Identified Health Risks (SCENIHR) and Consumer Protection (SCCP) with the main specialisation area nanomaterials’ risk assessment. In 2008, she moved to the REACH Unit of DG Enterprise and Industry, where her main responsabilities relate to nanomaterials and the REACH contribution to the development, commercialisation and uptake of products of emerging technologies. Graduated in 1994 as Engineer in Environment and Industrial Risk (Ecole des Mines d’Alès). He has been working at INERIS, the French National Institute in charge of industrial risk and environment protection since 1995 as Programme Manager in the field of Risk Assessment and Management, then as Scientific Manager. In September 2005, he became the President of the Society for Risk Analysis Europe (SRA Europe,) and in December 2006, he was elected as Councillor of SRA and was nominated as Chair of the Committee of the Regions aiming at promoting interaction between the various parts of the World represented in SRA. In 2006, he actively contributed to the creation of the European Virtual Institute for Integrated Risk Management EEIG (EU-VRi, and is acting as General Manager, seconded by INERIS. For EU-VRi, he has supervised the coordination of several European collaborative projects and is involved in the coordination of iNTeg-Risk (to develop a common framework to manage emerging risks related to new technologies. In 2007 he was appointed International Business Development Manager with the aim to increase RTD activities and cooperation at international level through structuring initiatives such as the European open forum in industrial safety, ETPIS (European Technology Platform on Industrial Safety), For the second time in 2011, he has been elected Secretary General of ETPIS and is leading a strategic initiative named SafeFuture – Safe innovation for competitive and sustainable Future. 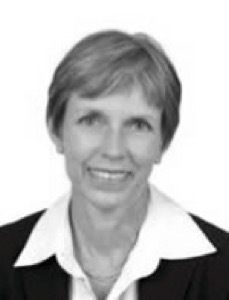 Sally Tinkle joined the Science and Technology Policy Institute in Washington, DC in April 2013 to extend her expertise in human health research and administration, to the policy arena, especially for emerging technologies and environmental exposures. Before joining STPI, she served as the Deputy Director of the National Nanotechnology Coordination Office where she led strategic planning and implementation of the U.S. National Nanotechnology Initiative. As a Senior Science Advisor, Office of the Deputy Director, National Institute of Environmental Health Sciences/NIH, Dr. Tinkle worked on health issues related to biofuels and the bioeconomy, application of global earth observations to human health monitoring, environmentally-induced pulmonary health conditions, as well as nanotechnology. Dr. Tinkle received her PhD from the Department of Physiology, University of Colorado School of Medicine and was a postdoctoral fellow at the National Jewish Center for Immunology and Respiratory Medicine, Department of Occupational and Environmental Health Science, Denver, Colorado. Professor Sirirurg Songsivilai is Executive Director of the National Nanotechnology Center (NANOTEC), National Science and Technology Development Agency (NSTDA). He is in-charge of NANOTEC’s efforts as Thailand’s main driving force to establish and support the development and application of national nanotechnology strategic programs through R&D, technology transfer, human resource and infrastructure development. He is Founding President of the Thailand Nanotechnology Association. Prof. Songsivilai is an Anandhamahidol Foundation Scholar awarded by H.M. the King of Thailand. He received M.D. degree from Mahidol University and Ph.D. degree from University of Cambridge, U.K. He became Professor of Immunology at Faculty of Medicine Siriraj Hospital, Mahidol University since 2000. Dr. Songsivilai published extensively in international journals and received a number of distinguished honors including ASEAN Young Scientist and Technologist Award and the National Outstanding Technologist Award. He is also known for his techno-entrepreneurial experience, having found spin-off company specializing in development and manufacturing of advanced diagnostics for tropical infectious diseases. 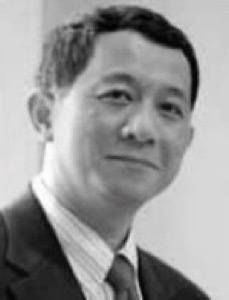 Prior to the current position, he oversaw the development of technoindustry under the National Biotechnology Policy Committee and was in-charge of Thailand BioPark Program. In 2005, he served as Vice President of NSTDA, overseeing management of strategic R&D initiatives and international collaborations. 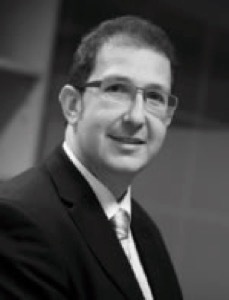 Dr. Jean-Marc Aublant is the Delegate for International affairs and Standardisation to the Managing Director of LNE, the French National Metrology Institute and Testing Laboratory. Herein at the time he was the R&D manager of LNE he was the project leader of a European FP6 funded project, Nano-Strand, dedicated to standardisation related to Research and Development for nanotechnologies. He was also the former Secretary General of EUROLAB, the European Federation of National associations of Measurement, Testing and Analytical Laboratories. He is the French representative to the VAMAS steering committee. The main objective of the Versailles Project on Advanced Materials and Standards (VAMAS) is to support trade in high technology products, through international collaborative and pre-normative projects aimed at providing the technical basis for drafting codes of practice and specifications for advanced materials. Therein he is one of the expert group working on a running VAMAS-CODATA project on nanomaterial description. He is the former Chairman of ISO TC 69 Application of statistical methods and was a member of BIPM JCGM WG1 dedicated to GUM. Nanotechnologies WG2 Characterization and measurement and WG3 HSE where in the latter he led an ISO TS project dedicated to Voluntary nanolabelling. He is a member of numerous International Advisory Groups attached to EC FP7 and H2020 NMP Research projects.